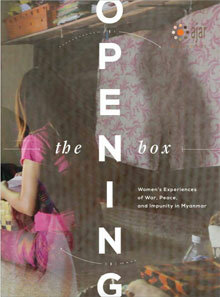 This booklet captures the stories of 29 women from Myanmar – former political prisoners from Yangon, and ethnic women from the conflict zones of Karen and Kachin State. It is based on our research with a total of 140 women victims in Indonesia, Timor-Leste, and Myanmar using participatory tools. The booklet presents the key findings of our research that are most relevant for Myanmar, introduces AJAR’s participatory research approach, and provides a list of recommendations for addressing truth, justice, and reparations for the women survivors of Myanmar. The research is a collaboration between Asia Justice and Rights (AJAR), Kachin Women Association Thailand (KWAT), Karen Women’s Empowerment Group (KWEG), and Women’s Organizations Network of Myanmar (WON).